I discovered the Doctor Who Target novels when I was about 7. It was a very exciting moment at the gift shop on Porlock Weir, I can tell you. The first one I ever read (twelve times) was Eric Saward’s The Visitation, followed by a trip back two days later to buy The Monster of Peladon (devoured another dozen times). Nowadays every clickbait headline talks about minds being blown – but finding that there were Doctor Who books literally blew my mind. My childhood (surprisingly happy, healthy and well-adjusted) took a sharp left turn as I suddenly devoted myself to BUYING ALL OF THEM. Bookshops, car boot sales, and jumble sales were scoured as my tiny little head was turned by the fact that the best TV series ever also had the best books ever. And then the gaps began to annoy me. There were, in those heady days of the 1980s, a few stories which had not been novelised. I remember by the age of 10 setting out to write one. It was a novelisation of the Patrick Troughton Cyberman story, The Invasion. I did not let my lack of experience deter me. Nor was I put off by the fact that I’d never even seen The Invasion. I’d muddle through somehow. I can tell you now, I began well. The table of contents was a marvel. The first page or so went quite well too (in order to make my job easier, I’d cut sheets of paper to exactly the right size for a Target book and rolled them into my typerwriter with carbon paper so that there’d be a duplicate in case of a fire. Look it was the 1980s. We made our own entertainment). Shortly after that point I hit a snag. Early Doctor Who novels had illustrations, which seemed a lot to ask of a writer, but I biro’d the Cybermen attacking the TARDIS from behind the moon quite well. My second snag was the Doctor’s companion Jamie. He was Scottish, and reproducing the dialect on the printed page was quite tough – but luckily I had the Krankies for reference material. Anyway, at some point, my first attempt to novelise a Doctor Who story petered out, and then someone proper came along and novelised The Invasion. Curiously, it had no illustrations and Jamie spoke in normal English throughout, so I like to think that I was the braver man. And he’d be right. 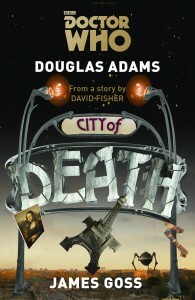 City Of Death (as any fule kno) is the superlative Doctor Who story written by Douglas Adams. It arrived on our screens in 1979 and no-one who’s seen it has ever quite forgotten it. When offered literally dozens of pounds to novelise it, Adams (by this time very busy and successful on The Hitchiker’s Guide To The Galaxy) turned the offer down politely. And so, a nagging gap remained on readers’ shelves between Doctor Who And The Destiny Of The Daleks and Doctor Who And The Creature From The Pit. To be frank, they were right. 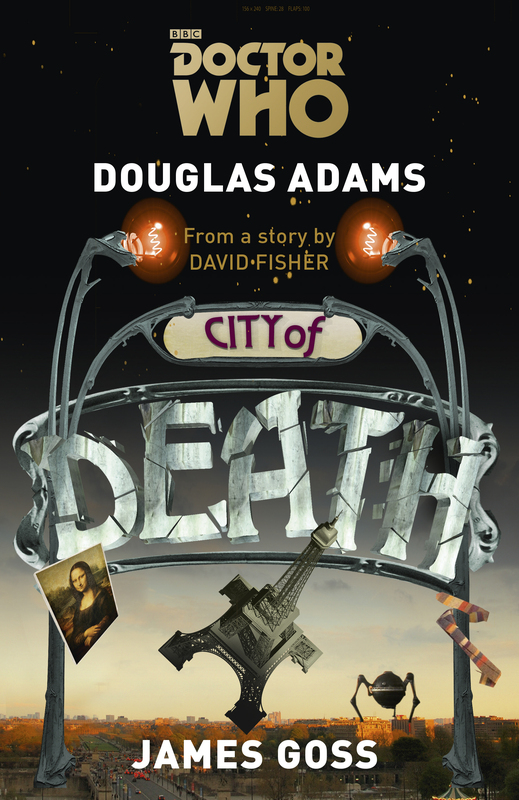 Everyone has a perfect idea in their head of how Douglas Adams would have written the book of City Of Death. Whatever I did would be wrong. And, after a horrid first few days of trying to write it, I suddenly realised that, as whatever I did would be wrong, I may as well relax and have a good time. And then it all went wonderfully well. I was very lucky in that I had access to the original scripts, which contained plenty of bonus descriptions and glorious material that never made it to screen. Also, I quickly realised that my main job was not to get in the way. I caught myself explaining one of Adams’s jokes, and quickly stopped. The best thing was to just get on with it. Anyway, the world finally has a novel of City Of Death. It’s by me, so it’s probably a bit wrong, but it hasn’t got any biro illustrations either. So count your blessings. 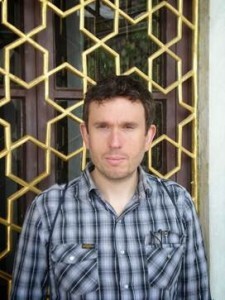 James Goss is the author of two Doctor Who novels:The Blood Cell and Dead of Winter, as well asSummer Falls (on behalf of Amy Pond). He is also the co-author, with Steve Tribe, of The Doctor: His Lives and Times, The Dalek Handbook and Doctor Who: A History of the Universe in 100 Objects. 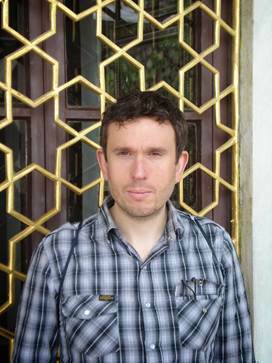 While at the BBC James produced an adaptation of Shada, an unfinished Douglas Adams Doctor Who story, andDirk is his award-winning stage adaptation of Dirk Gently’s Holistic Detective Agency. His Doctor Who audiobook Dead Air won Best Audiobook 2010 and his books Dead of Winter and First Born were both nominated for the 2012 British Fantasy Society Awards.